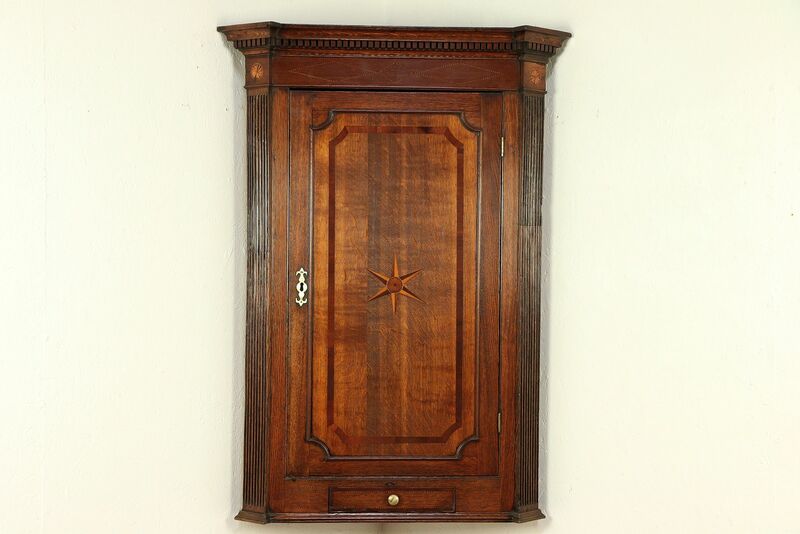 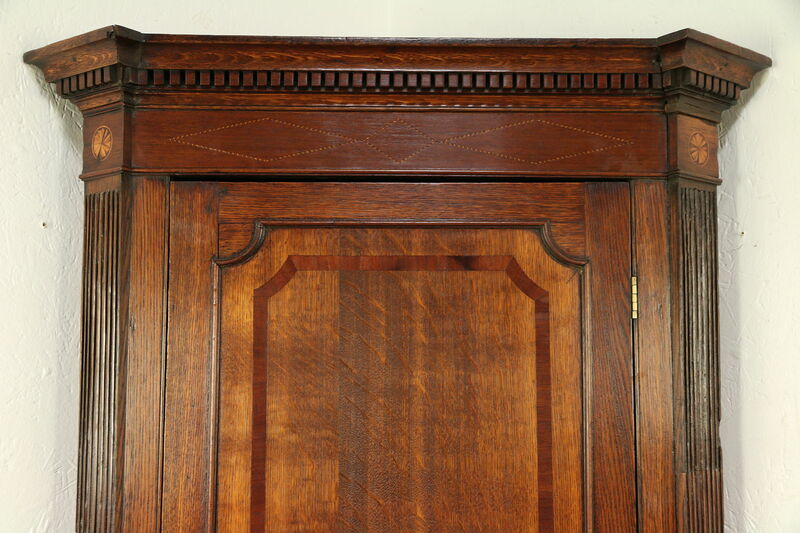 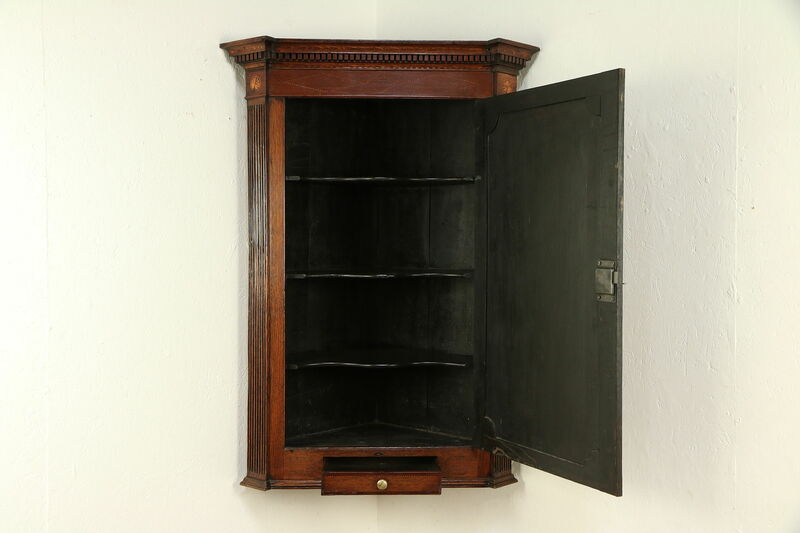 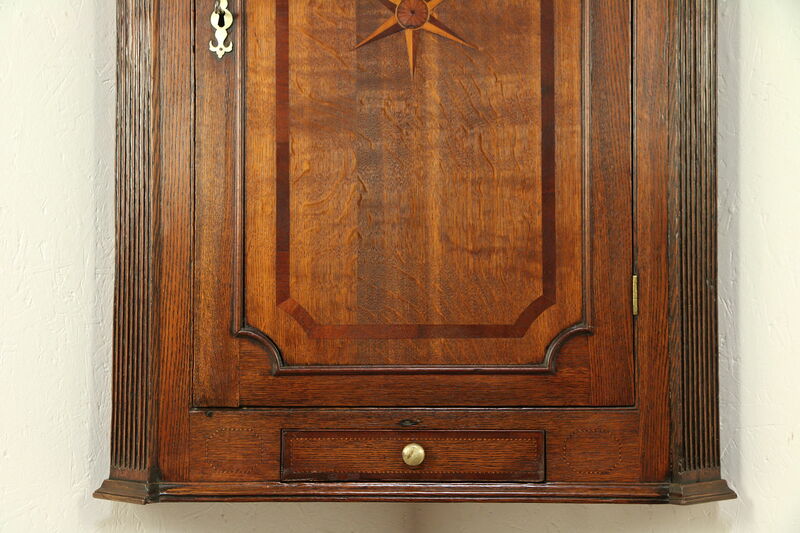 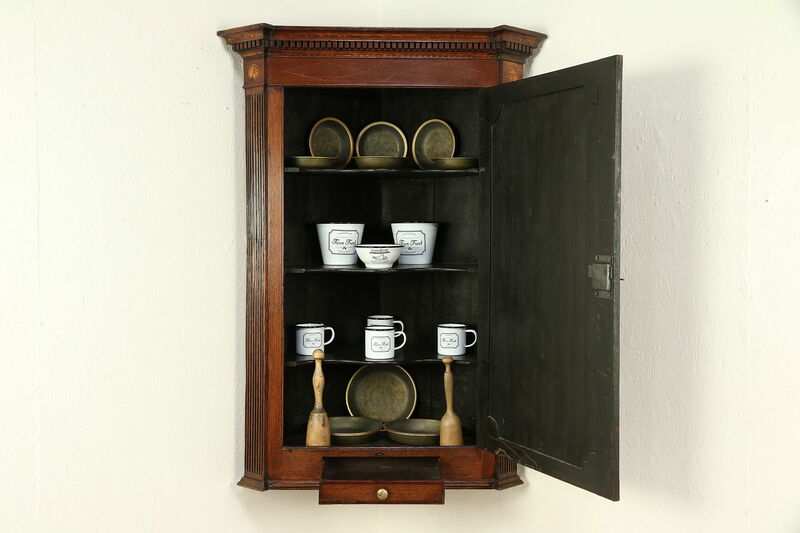 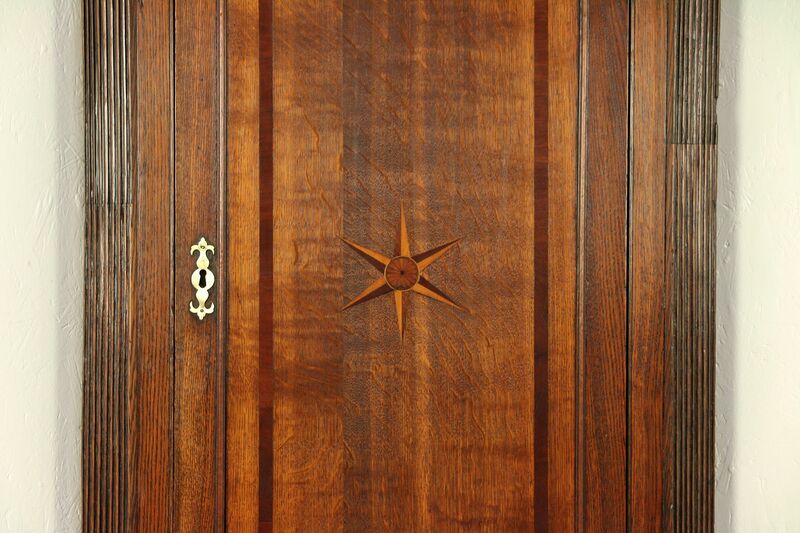 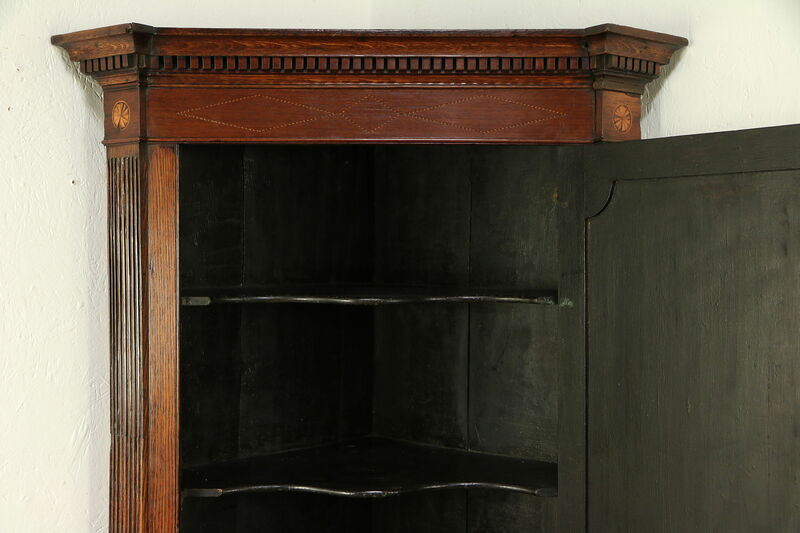 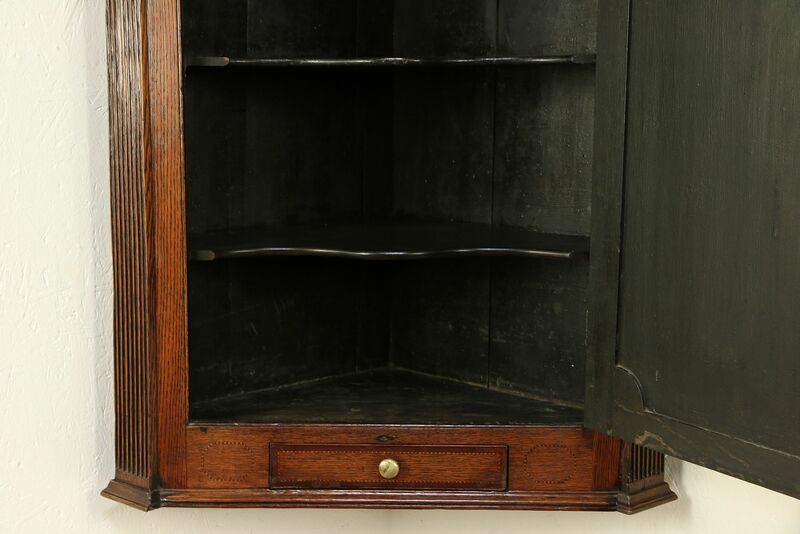 A Georgian design hanging corner cupboard was hand crafted in England about 1850 of oak with mahogany inlaid banding and a star and marquetry medallions. 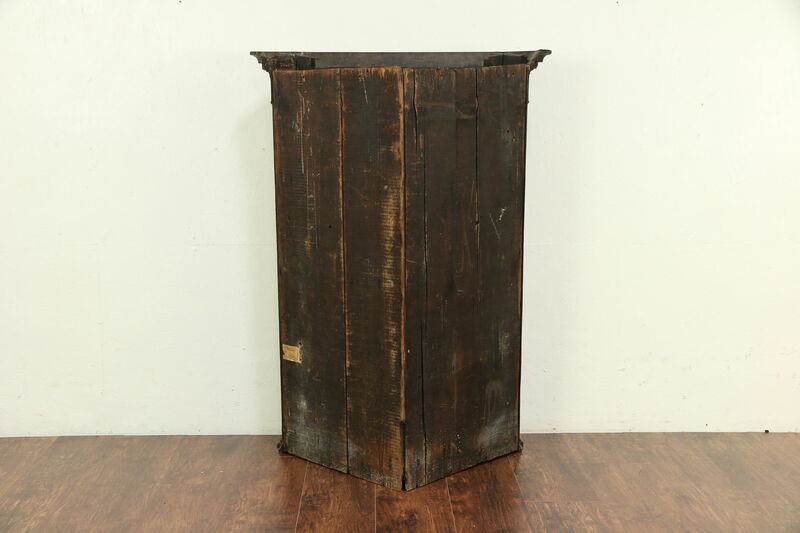 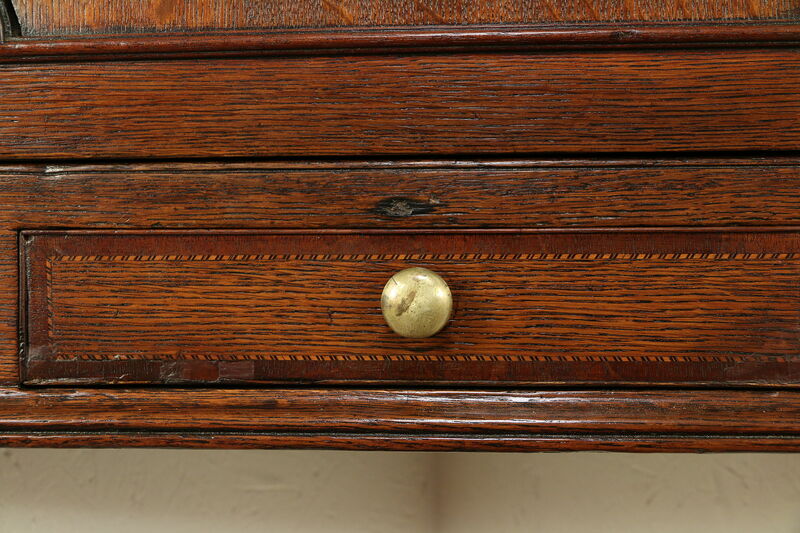 The old finish has warm antique patina and has been waxed and buffed. 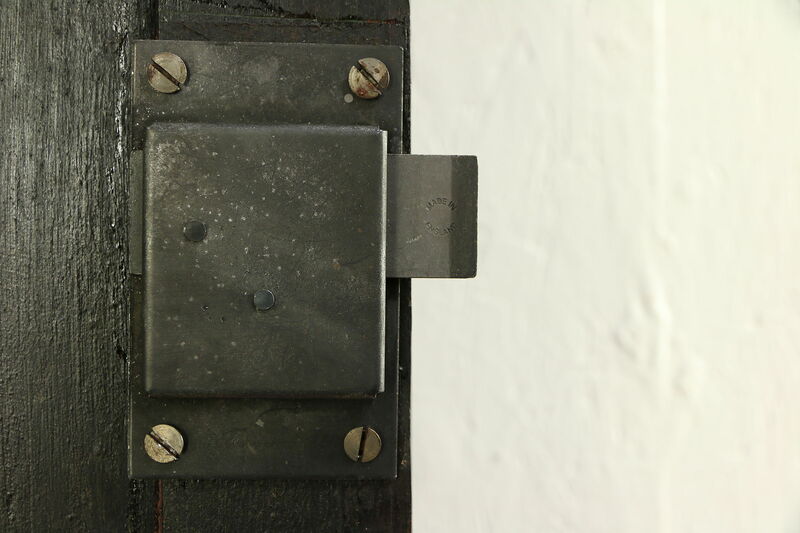 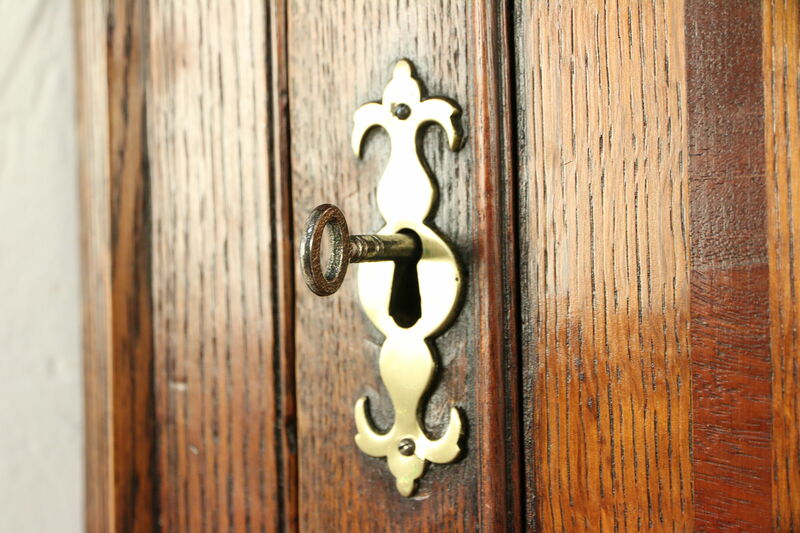 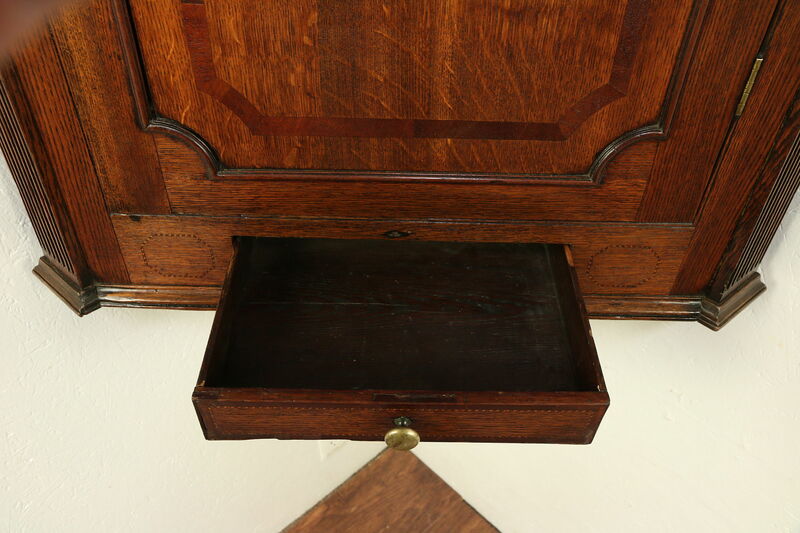 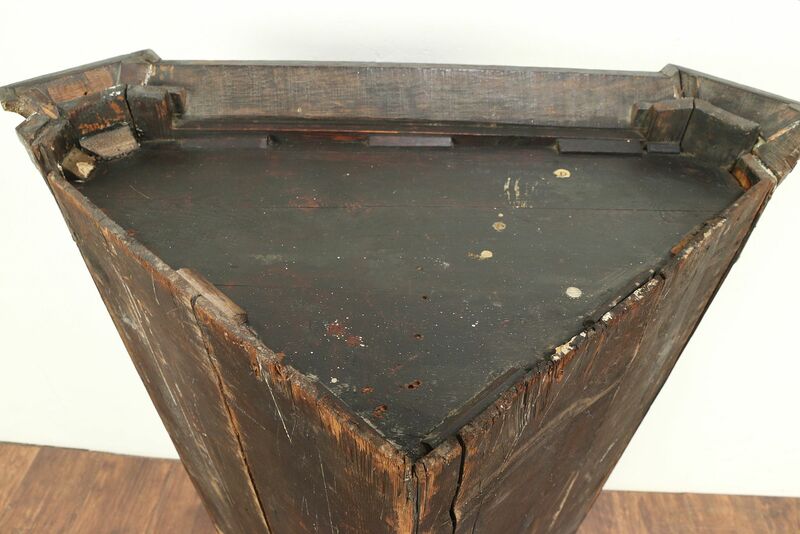 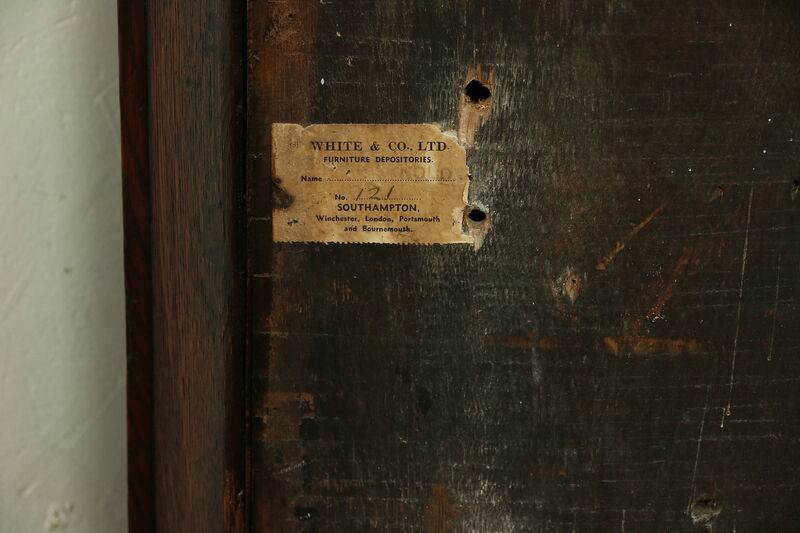 There is a working lock on the door, below is a small drawer with hand cut dovetail joints. 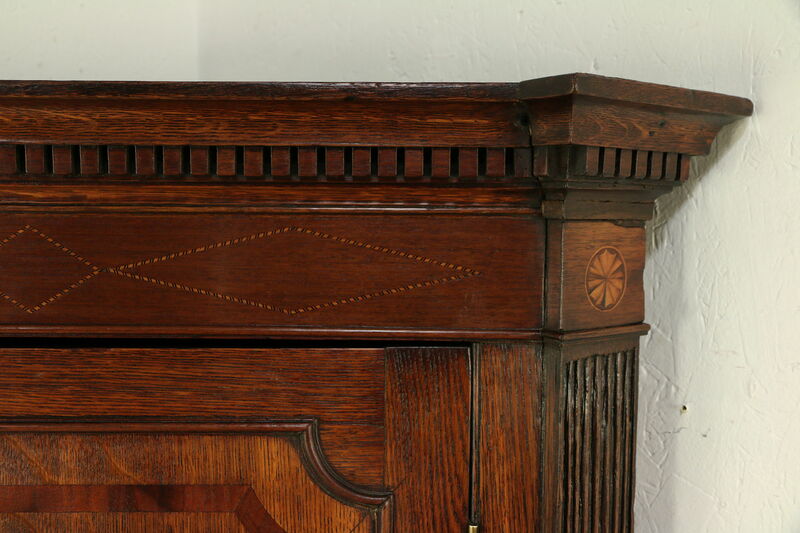 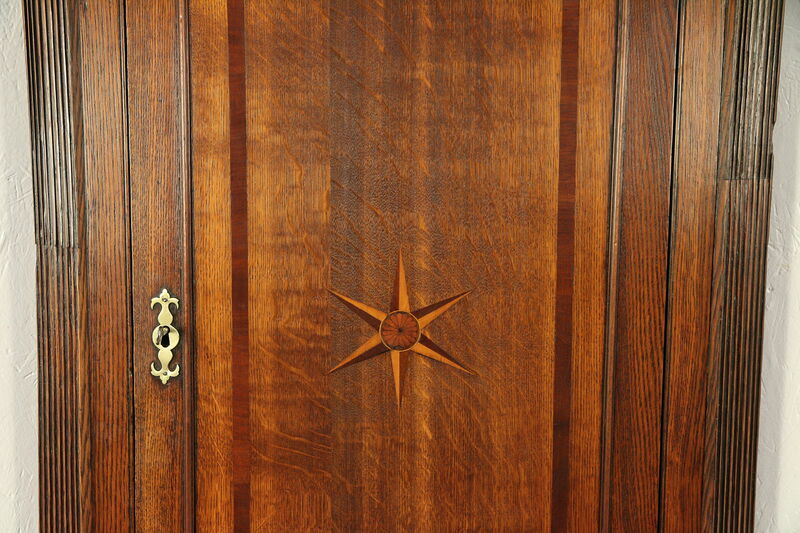 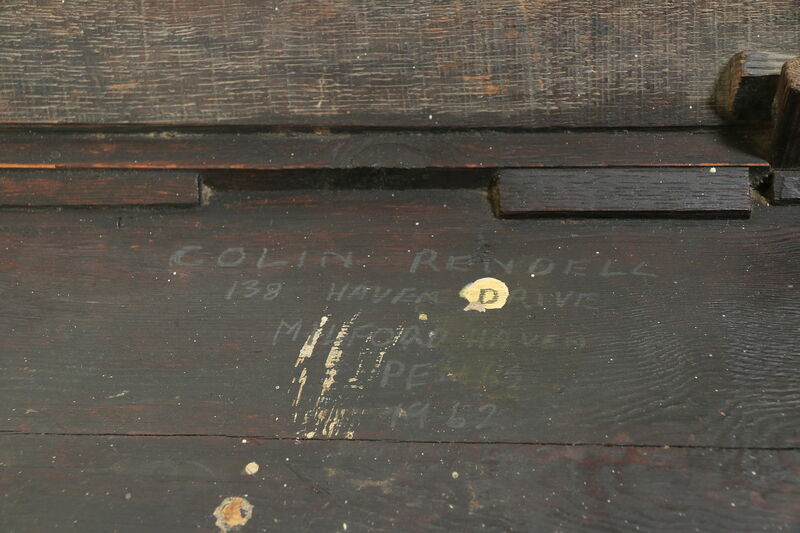 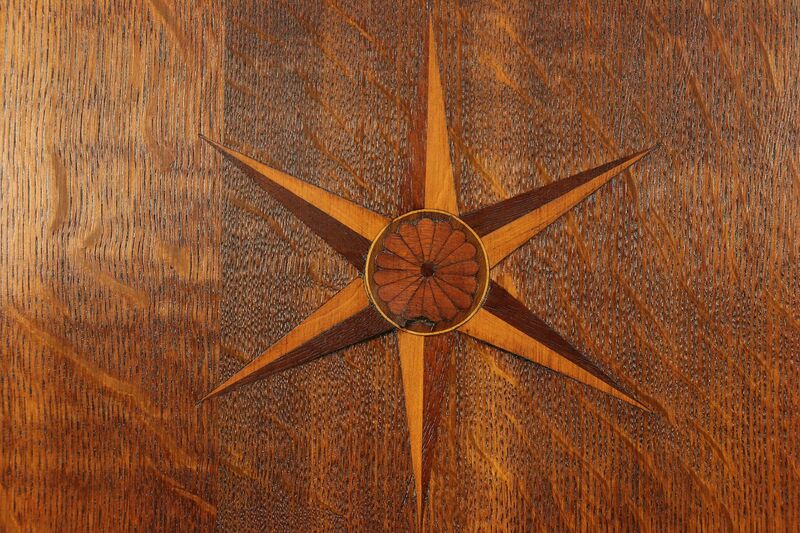 Inlaid banding designs are beautiful on this historic furniture. 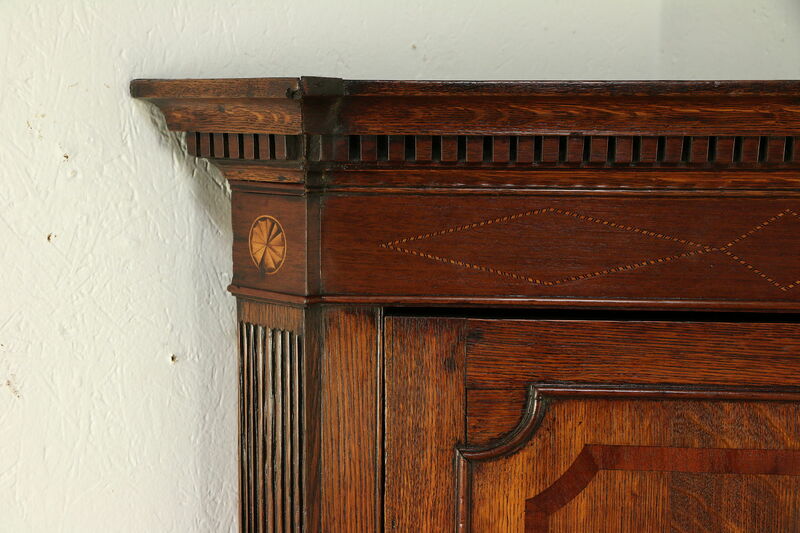 Size is 34" across the crown, 22 1/2" on each side from the back corner to the front of the crown and 46 1/2" tall.